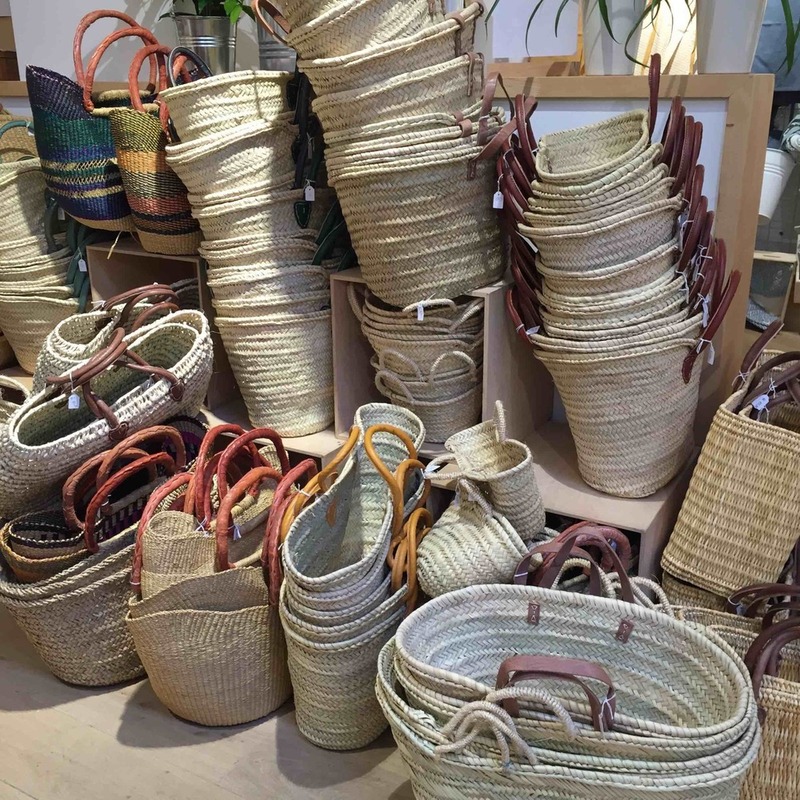 When Mr. A and I visited Brussels recently we came across the loveliest shop. 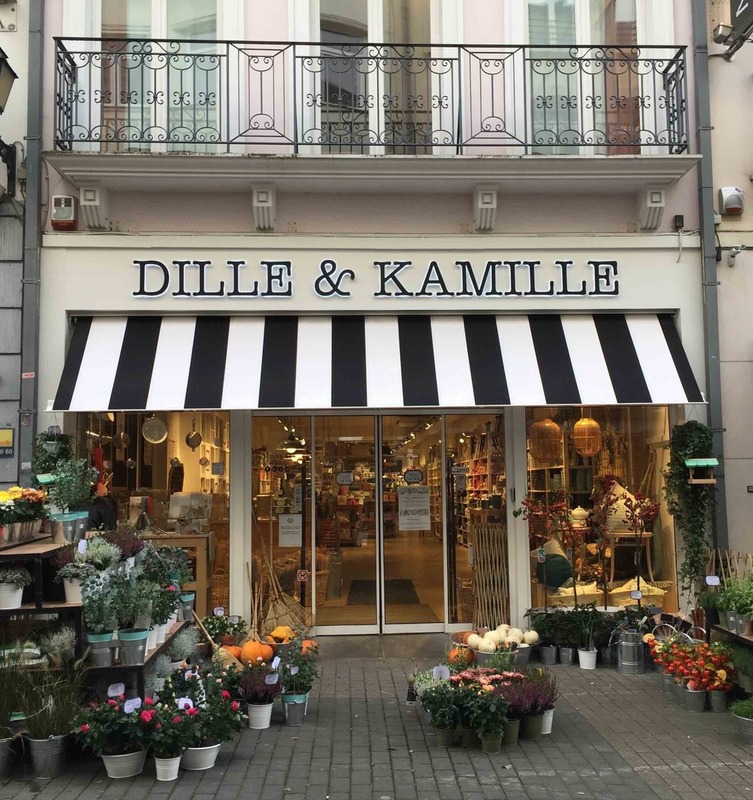 Dille & Kamille was just steps from our hotel and I was so happy to have found it. Of course I knew immediately upon seeing the exterior that I had to go in. Love a black and white striped awning. At first I thought it was a garden or flower shop. 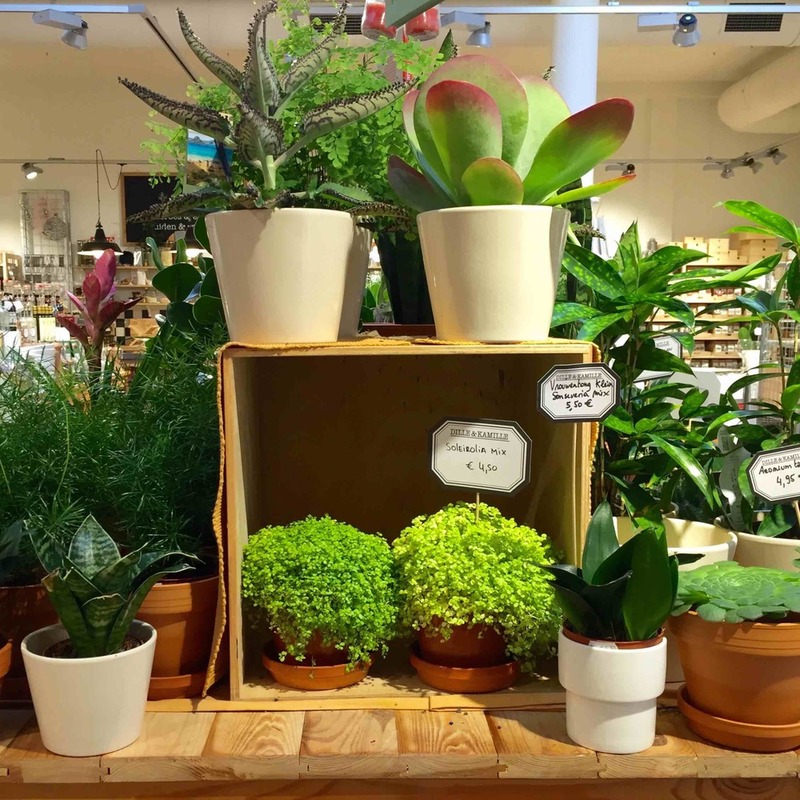 The displays of neatly arranged plants on either side of the entry created a warm welcome. This cluster of heather and sedum was so simple yet so striking. Made a note to myself to get some heather when I got home. And I did. 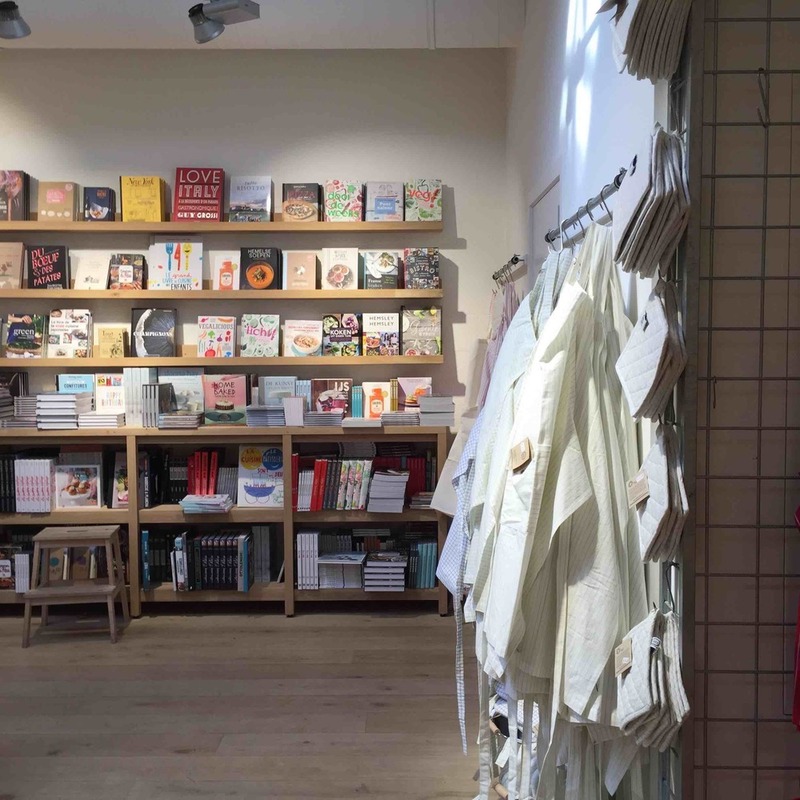 Inside, we discovered Dille & Kamille is much more than a garden shop. It's kitchen, bath, gourmet, utility, linens, and books and so much more. 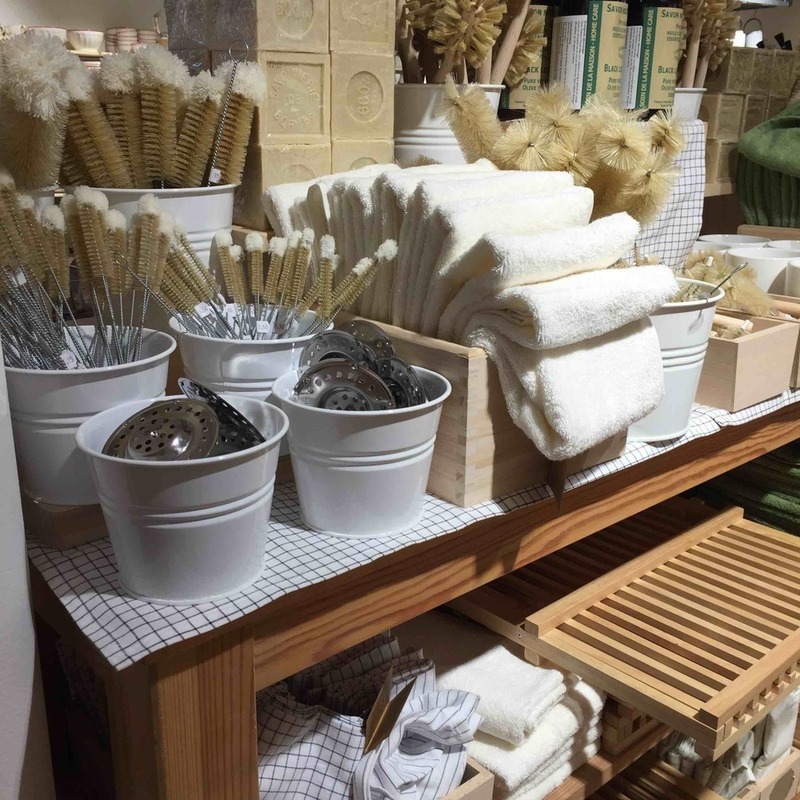 All of the goods and displays have the aesthetic of simplicity and abundance, quality and utility. My favourite. This mountain of gorgeous market baskets caught my eye first. I want to live in a world where all the food from the market is carried home in one or two of these on a bicycle, not in a tumble of black logo-emblazoned cotton totes shoved in the trunk...sigh. There were more lovely plants inside and they made me fantasize for a moment that maybe I should really try to keep some alive at home once I got back. I am actually trying. 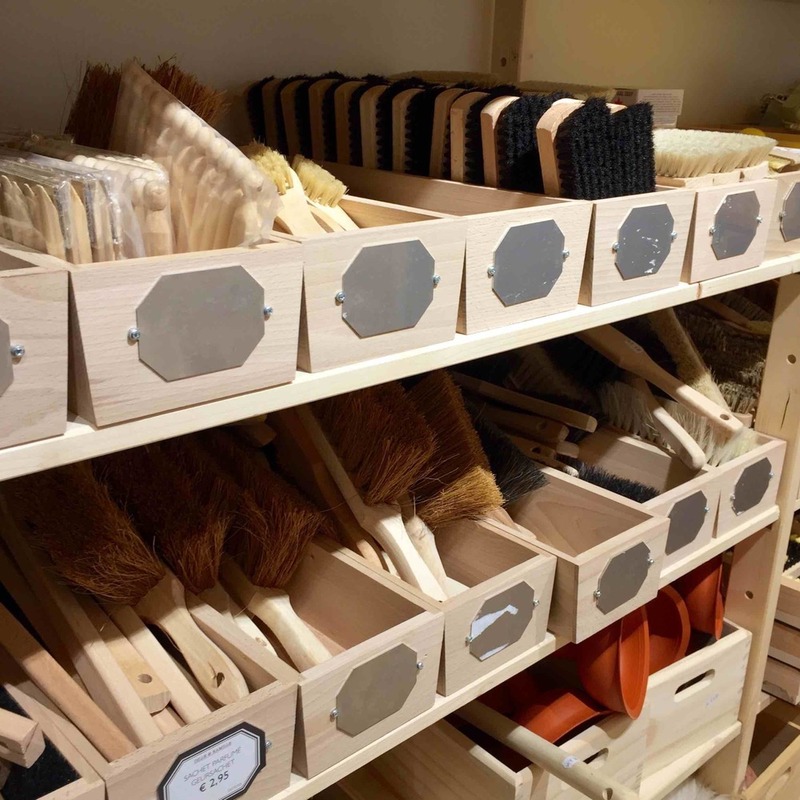 The wall o' brushes for everything you could ever want a brush for was also dreamy. Yes, I find a wall o' brushes dreamy. 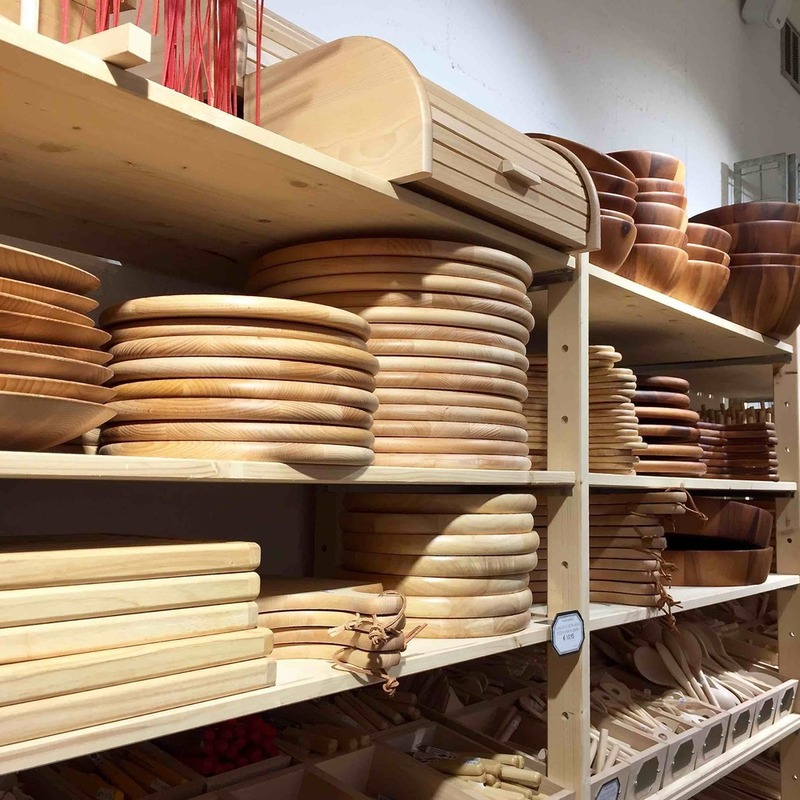 I swooned over just such a wall at the store Manufactum in Frankfurt last year and stocked up then, otherwise a few of these beauties would have def come home with me. Any wooden cutting board or charcuterie board you could ever want. It's here. 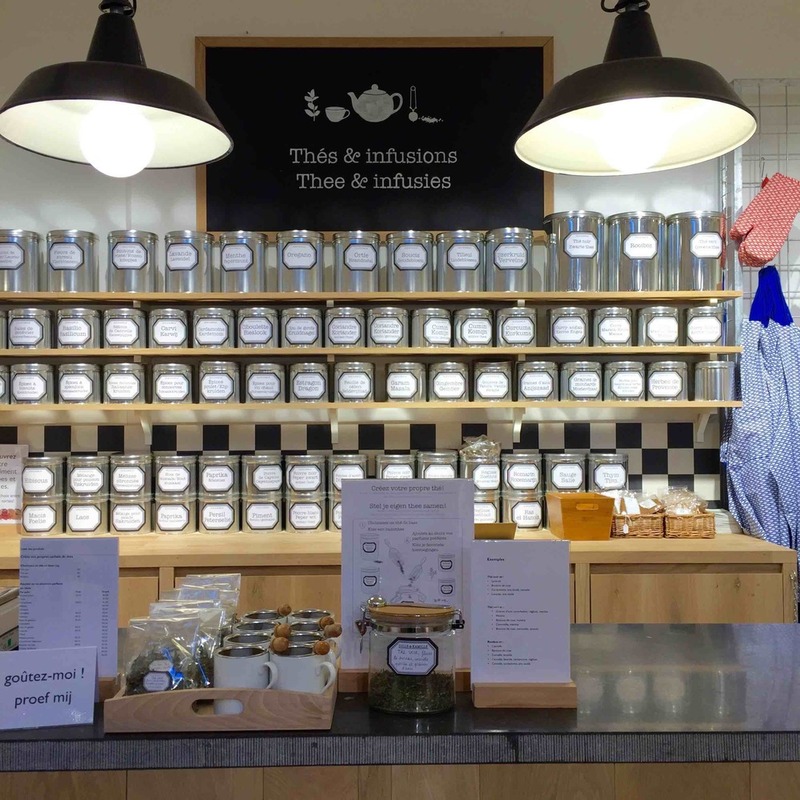 Also, wall o' beautiful tea. Yum. Wall o' cookbooks. Also -- some great apron action in the forground there. Wall o' beautiful table linens. 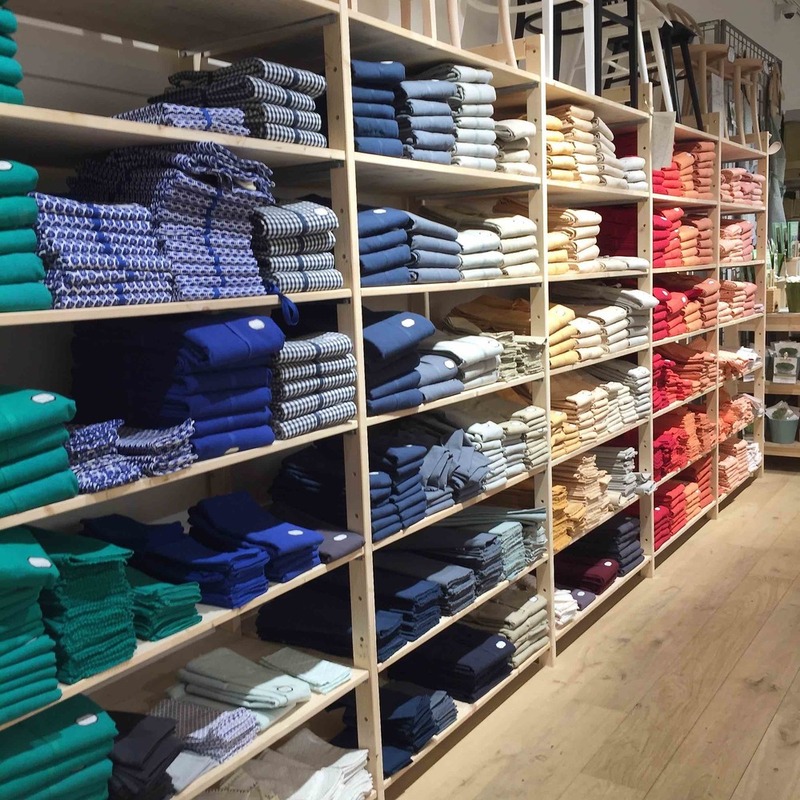 Turns out there are 25 locations of this fantastic home goods shop across Belgium and The Netherlands. If you will be in either of these regions and this is your thing, I highly recommend Dille & Kamille. It's just so truly lovely and a great spot to pickup gifts to bring home. 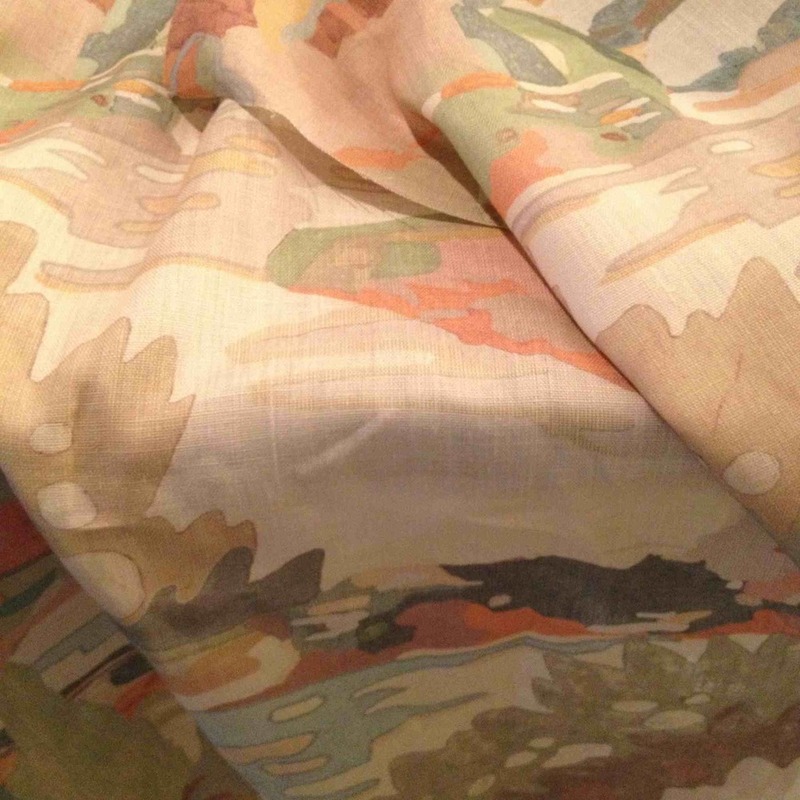 Check them out at Dille & Kamille. One of the fringe benefits of my styling gig is getting to take home flowers after a shoot. Well, this weekend it is bumper to bumper blooms chez Austin thanks to back to back floral shoots. On Wednesday, our place was the location for a floral story schedded for the July issue of House & Home. I was working with the most talented Virginia Macdonald - what a treat. I cannot wait for you to see. Then first thing Thursday morning it was down to 299 Queen St. W. in Toronto to The Marilyn Denis Show for a segment on spring floral arrangements. It felt like I did the segment in 30 seconds so I have no idea what came out of my mouth - HA! The whole team there is so great to work with. I must confess though, my fave aspect is getting my makeup done. It just makes me feel so pampered and I rarely indulge in such things on my own (which I realize is dumb). I got most of the supplies for the segment at the Real Canadian Superstore. I popped by today and sure enough the place is stocked with potted bulbs, tons of mixed arrangements, and of course they always have great vases and other vessels. 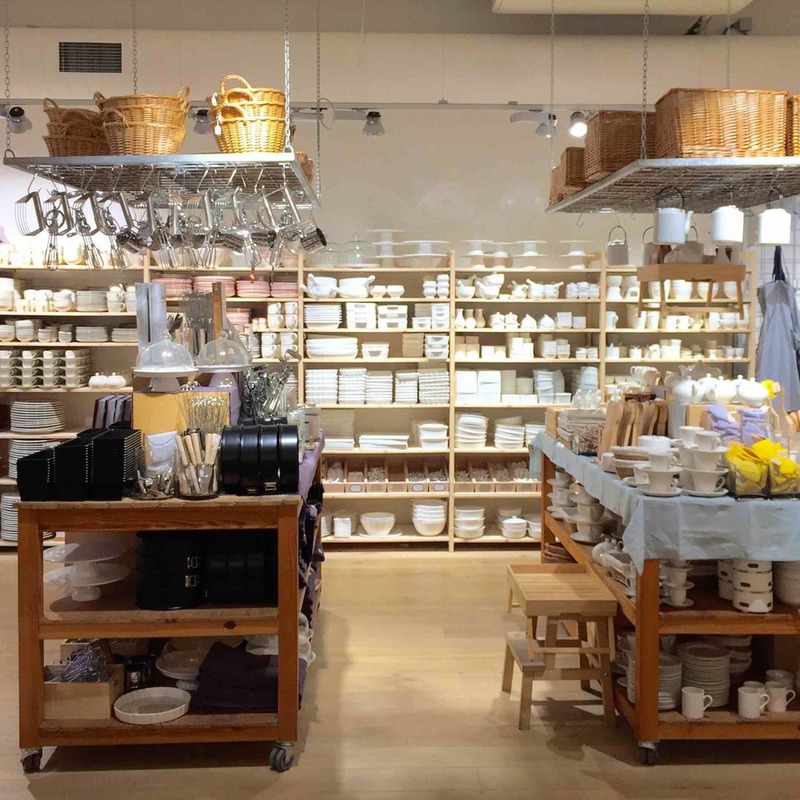 I like the white ceramics in the serveware dept. even better than the clear glass vases. And the best part - nothing I used was over $20. So if you haven't decorated for Easter yet, click here to watch the vid and then head out to the Superstore. OK, now I'm off to make some bouquets to bring to my Dad and Mom and her nursing home buddies. I'm so obsessed with coral peonies right now. They are totally exquisite. Get some now because they won't be around for much longer. I found these pretty things while poking around the 'nets the other day and they are making me think. 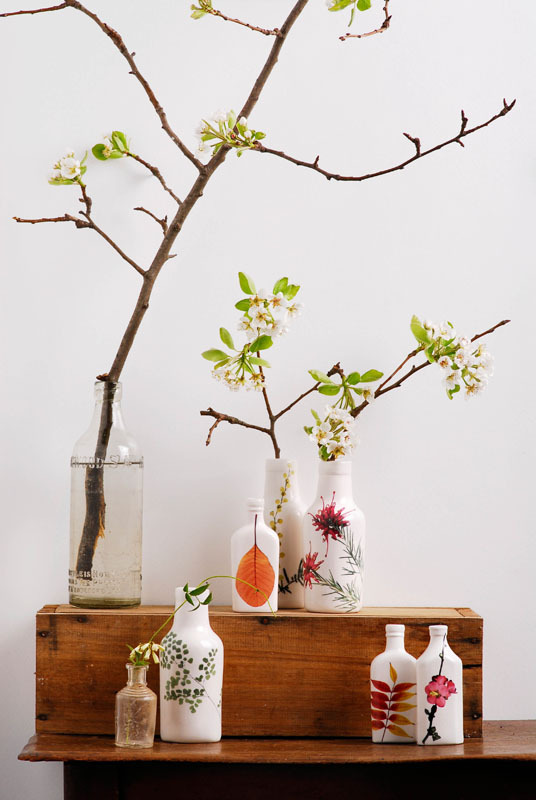 I am thinking a) I'd like to own some, and b) is it crazy to have little vases shipped across the globe from Australia? These vases are the work of Keir Angus MacDonald and Asha Celeste Cato, who form the design firm Angus & Celeste of Melbourne, Australia. Do you love them as much as I do? Would you have them shipped across the globe? On their bio page, Angus & Celeste quote the line "A thing of beauty is a joy forever." This sounded familiar to me. It is the opening line of John Keats's poem "Endymion". 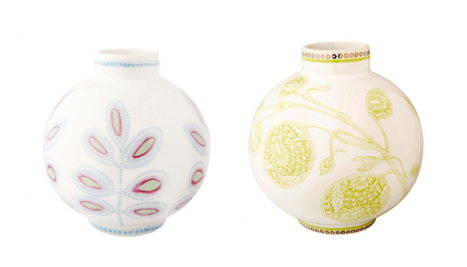 As if these two hadn't already won me over with their vases, throw in a little Keats and I'm hooked. So here's more of both for you to enjoy. I don't think I could pick a favourite of these. One of each please. I particularly love a vase that is just a beautiful sans flowers. All of these qualify.